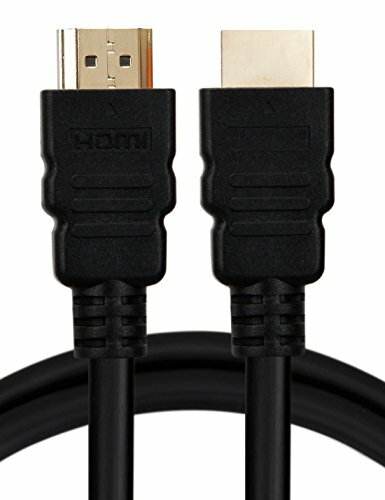 HDMI Male to HDMI Male Cable. 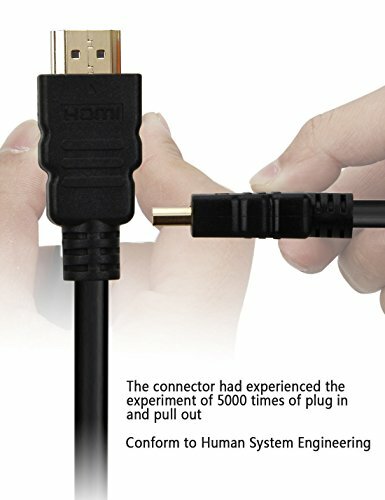 Transfer both audio and video through one REALMAX HDMI cable. 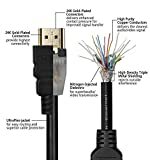 Compatible with : HDTV, LCD, Plasma TV, LED TV, 3D TV, Apple TV, Home Theatres, Home Cinema, Sky HD, Freesat, Virgin HD, Dream Box, PS3, PS4, Xbox 360 One, Nintendo Wii U, HD DVD player, Blu Ray, Projector, Digital cameras and camcorders, Laptop, PC, Tivo, Vizio and many more. In short all HD ready devices and gadgets. Supports all manufactures such as Sony, Samsung, Apple, Phillips, Sharp, LG, Mitsubishi and many more. Larger gauge PVC jacket provides maximum shielding against wear and tear and extreme temperatures. HDMI Switch | GANA HDMI Switcher Bidirectional 2 Input to 1 Output or 1 In to 2 Out, Supports 4K/3D/1080/HDCP Passthrough-HDMI Switcher for HDTV/Blu-Ray player/DVD/DVR/Xbox etc. HDMI Switch, iSolem Switch Box Bidirectional 1 In 2 Out / 2 Input to 1 Output, Supports 4K 3D Full 1080P for HDTV / PC / Nintendo / PS3 / PS4 / Xbox etc. 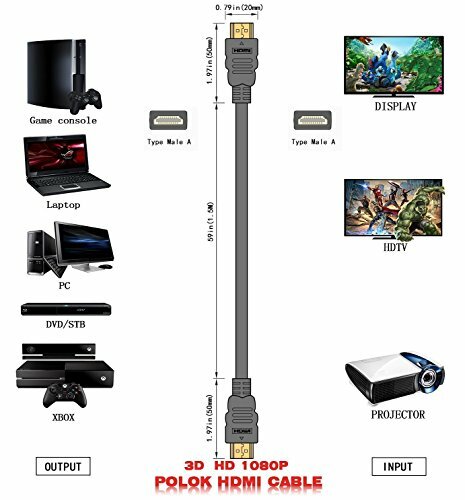 HDMI Switch, GANA Aluminum HDMI Switcher Bidirectional 1 In 2 Out or 2 In 1 Out Manual HDMI Switcher, Supports 4K/3D/1080P Plug and Play for HDTV, Projector, Blu-ray Player, DVD, PS4, Xbox, etc. 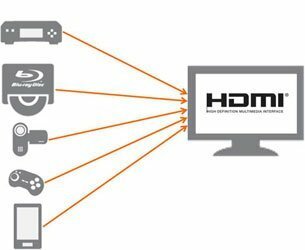 Do you want to play your PS3/PS4,Xbox 360,Blu-ray player, Laptop,Satellite disc, or other HDMI enabled device on your big-screen HD TV or PC monitor ? 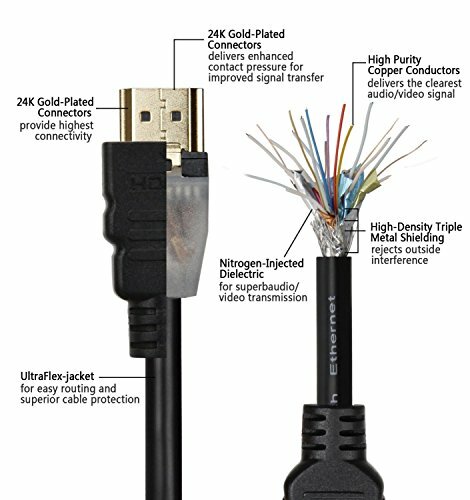 Then this REALMAX HDMI cable is the answer. 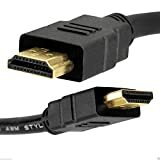 REALMAX HDMI gold plated v1.4a cable accommodates high speed data intensive bandwidth required for 1080p video resolution and colour depth of 48 bit. Transfers Digital Audio and Video signals at fast speed of 10.2 Gigabits per second. HDTV, LCD, Plasma TV , LED TV, 3D TV, Apple TV, Home Theatres, Home Cinema, Sky HD, Freesat, Virgin HD, Dream Box,Set top Box, PS3, PS4Xbox 360, Nintendo Wii U, HD DVD player, Blu Ray, Projector, Digital cameras and camcorders, Laptop, PC, Tivo, Vizio, Sony, and many more. In short all HD ready devices and gadgets. Resolutions 480p, 720p, 1080i,1080p and 2160p. Manufactures such as Sony, Samsung, Apple, Phillips, Sharp, LG, Mitsubishi and many more. Supports True HD Dolby 7.1 and DTS-HD Master Audio. Supports 3D TVs Functions - Best for 3D gaming and 3D home cinemas. Latest version 1.4 for higher speeds and Deeper color. 24K Gold Plated corrosion-resistant connectors to ensure superior signal transfer and maximum performance. Maximum reliability by triple shielding (2*foil and 1* Tinned Copper Braid Shielding). Triple Shielding to provide complete immunity to environmental EMI and RFI. 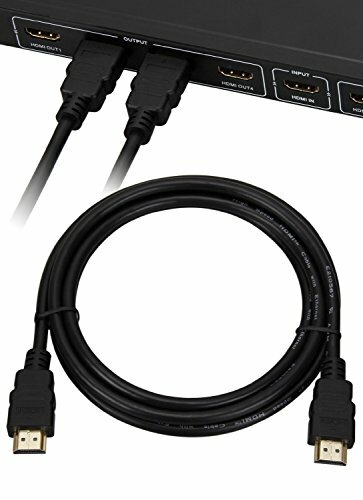 Twisting, tugging on or stapling HDMI cable could cause the cable to malfunction. Please always read product description provided before buying, using or consuming the product.